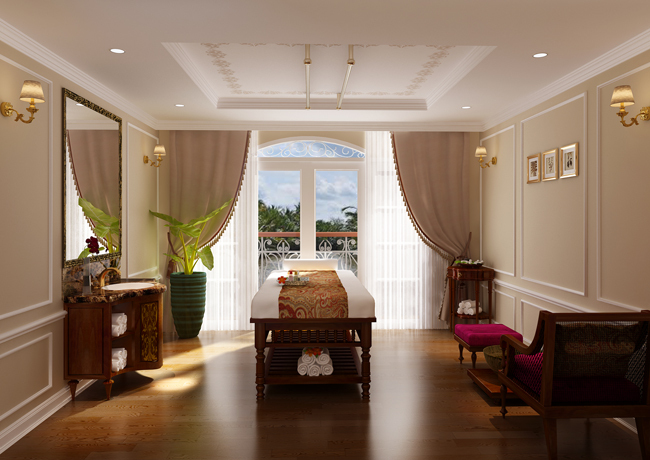 Spa on board the 24-guest Mekong Princess. Tom Markwell, managing partner ­, sales and marketing,­ Haimark, Ltd., discusses the Southeast Asia river cruising product. Paloma Villaverde de Rico (PVR): What do you think is the U.S. market’s fascination with Southeast Asia? Tom Markwell (TM): We all know that the waterways of Europe have fueled a love of river cruising overall. 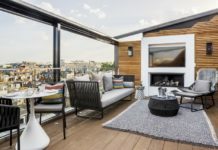 However, it only seems natural that once guests have “fallen in love” after their first few cruises in Europe that they start to look for something different, potentially exotic and/or more active. PVR: It’s all in the details, right? So what are some of the “not so obvious” things that make Haimark’s itineraries on the Mekong and the Irrawaddy a unique experience? TM: Agreed, and as they say “the devil is in the details.” Therefore, I truly believe that the value of having a full-time Western hotel director on board makes a huge difference in not only reaching our quality standards, but maintaining and improving upon them. Further, we are the only U.S.-based cruise operator to maintain Western culinary and hospitality teams based in Southeast Asia who assure that we provide the absolute best in all aspects of the guest experience from a Western perspective. PVR: Which demographic or type of traveler is Haimark best suited for? TM: Most of our guests are active and well-heeled travelers in the 50+ demographic. For many of them, this isn’t their first river cruise—however, we often encounter this is their first time visiting Southeast Asia. 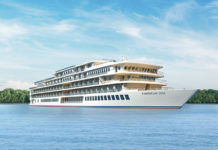 PVR: Why introduce the Mekong Princess as a spa concept vessel? Is it part the growing popularity of wellness travel? What are travel agents or prospective clients saying about this spa-focused vessel on the Mekong? TM: Announcing the launch of the 24-guest Mekong Princess has been a huge success for Haimark in the development of our Southeast Asia fleet. It seemed that it only made sense to capitalize on our all-suite colonial interior concepts. However, we realized that one much loved common denominator was missing from the river ships of Asia—this being a very comprehensive spa-like environment on board. Guests visiting Southeast Asia anticipate this element, but you will find most river ships sadly don’t embrace this concept. Therefore, we have developed the onboard experience to not only include the largest spa treatment menu of any vessel in Asia, but also to include wellness activities both on board and ashore. Combined with our culinary team’s incredible spa menu choices along with both Western and regional cuisines, it creates a complete spa-like experience on-board. PVR: Where do you see Southeast Asia river cruising in five years? TM: Haimark sees the Mekong and Irrawaddy Rivers continuing to grow and develop, especially in the existing operators on the rivers launching the next generation of vessels as done frequently in Europe. We see others attempt to successfully launch in areas such as Laos, however these areas can be challenging to deliver a consistently delivered product to guests due to the many navigational challenges. Haimark sees the newest and strongest growth on the Ganges River of India. This is the most incredible and completely misperceived experience of them all. It’s so extremely rich and colorful, authentic and mesmerizing, and a part of India that many people seldom see. It will no doubt be the next wave of river cruise development in the region based on the recent demand of our Ganges River cruise products. For the Southeast Asia river cruising story in the November issue, click here. For more information on Haimark’s offerings, visit haimarktravel.com or haimarktravel.com/travel-agents.